THE FEW. THE PROUD. THE DIVERS! 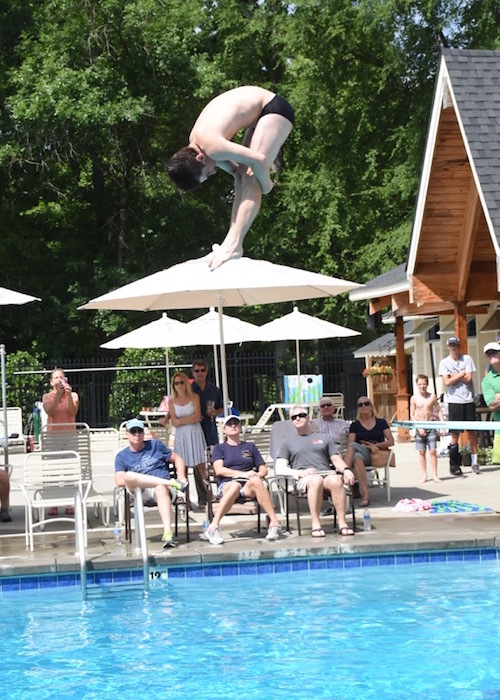 The Foxcroft East Dive Team is a recreational program for club member families ages 18 and younger. Our major objectives are to teach diving skills; build confidence through learning those skills and competing; foster good sportsmanship; and have fun! Divers are encouraged to compete in dive meets, but it’s not mandatory. The program is open to all skill levels—all eligible youths who are interested are welcome to join! Any eligible youth who is interested in our Dive Team can try practice for one week FREE—no risk/no obligation. This offer is available May 15-26, with all free practices (5 total) completed by May 26th. To sign up for the free trial, parents complete a registration form and note “Free Trial” in the fees sections. If you miss team sign-ups, you can bring the free trial registration form to the first practice and give to a head coach. E-mail is our primary means of communicating. General information is also posted on Dive Team’s bulletin board and FERSC website page. Please check your e-mail often for last minute changes, updates and reminders.